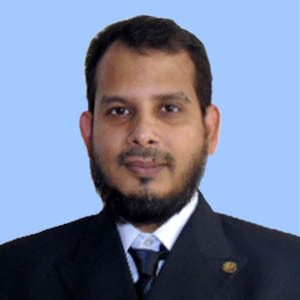 Mr. Omar Sadath is a Marine Chief Engineer, over 12 years’ experience in Ocean going bulk carrier and container ships. Hand on experience performing troubleshooting, repair and maintenance of diesel driven engines, Marine Turbocharger, electrical motors, pumps , refrigeration plants, Hydraulic equipment. Plan, control and execute all activities connected with maintenance, repairs, dry-docking, conversion or modification of assigned vessels. Have good knowledge and understanding in Flag state and port state control, Classification society requirements. Passed out from Chittagong Marine Academy, 1998 (31st batch). Attended Two years pre sea training, One year Mechanical workshop training from Marine Academy, Chittagong. Attained Bachelor Degree in Maritime Science under National University. Certificate of Competency Class 1 (Motor Engineering) from Maritime and Port Authority Of Singapore. 2010. Course attended in Singapore Polytechnic SMA Department. Worked in different local and reputed foreign Companies like V-ships, Bernhard Shulte (former Eurasia Ship Management), Great Circle Shipping Ltd. Severed in V-Ships, Monaco for last 7 years. Worked as Chief Engineer In Symphony Ship Management Company. Currently working with International Maritime Academy as Engineer Instructor.